3D Spiral Tree White Colour (36V Safe Voltage) Product Overview: Ultra Bright LED Rope Ligh..
3D Spiral Tree Blue and White (36V Safe Voltage) Product Overview: Ultra Bright LED Rope Lights ..
3D 210CM. 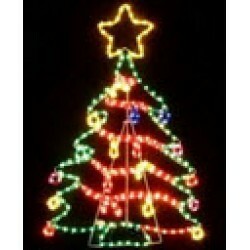 Spiral Tree Mulit Colour (36V Safe Voltage) Product Overview: Ultra Bright LED Rope Li..
3D 210CM. Spiral Tree White Colour (36V Safe Voltage) Product Overview: Ultra Bright LED Rope Li..
3D Acrylic Christmas Mushroom - 28CM High with 64 LED Lights Create a dazzling new christmas disp.. Create a dazzling new christmas display this christmas with this sparkling deer! Ultra Bright .. Create a dazzling new christmas display this christmas with penguins direct from the North Pole! .. Create a dazzling new christmas display this christmas with this sparkling polar bear! Ultra B..
3D Acrylic Reindeer - 38CM High with 40 LED Lights This cute deer will be a beautiful addition to..
3D Acrylic Reindeer - 73CM High with 240 LED Lights This cute deer will be a beautiful addition to ..
3D Acrylic Reindeer 2Pcs - 42CM. And 34CM. High with 64 LED Lights This cute deer will be a beaut.. Create a dazzling new christmas display this 60cm acrylic santa clause Ultra Bright 200 White LED.. Create a dazzling new christmas display this christmas with this sparkling santa with gift bag! .. Create a dazzling new christmas display this christmas with cheerful snowman! Add with penguins and .. Create a dazzling new christmas display this christmas with this cute snowman! Ultra Bright 56.. LED 3D Christmas Tree Motif Product Dimensions: Height 760 mm, Width 530 mm, Depth 530 mm Ro..
40 CM Snow Man Lamp Toy Ornament Music and Led YOUR KIDS WILL LOVE IT , PERFECT FOR CHRISTMAS GIFT ..
40 Inch Santa ClausToy Ornament Music and Led Snow fall YOUR KIDS WILL LOVE IT , PERFECT FOR CHRI..
448 LED Programmable Net Light White colour - Create Your Own Christmas Messsage! New i..
50CM. Santa Toy Ornament Music and Led Snow fall YOUR KIDS WILL LOVE IT , PERFECT FOR CHRISTMAS G..
50CM. Snow Man Toy Ornament Music and Led Snow fall YOUR KIDS WILL LOVE IT , PERFECT FOR CHRISTMA..
85 CM. TOY SANTA STORY TELLING WITH MUSIC Product Overview: Highly Detailed Features 71Cm. (H) *..
88CM LED Colourful Angel Nativity Christmas Motif Lights (36V Safe Voltage) Get this weatherproof o..
90CM Diameter 192 LED Red and Green Colour Circle Net Christmas Lights with Clock Rotation Function ..
Acrylic Christmas Santa Sleigh Deer- 50CM High with 360 LED Lights Create a dazzling new ch.. Blast Ball 160LED 100Cm. Blue And White Product Overview: Ultra Bright 160L LED Blue And White L.. Here comes Santa Claus riding up on his sleigh with 2 reindeers. This awesome Christmas display can'.. Flying Santa with 4 Reindeers This large display looks fantastic in the garden. Metal frame cons.. Gift Box Motif These green, red, white gift box motifs really dazzle in the garden! Low voltage, 3..
HO HO HO - Blue and White 150cm Get this weatherproof outdoor bright LED colourful "HO HO HO" sign ..
MERRY CHRISTMAS 150cmx71cm with Twingle Effect Get this weatherproof outdoor Ultra Bright Merry C.. Animated Colourful Merry Christmas Arch 270(H) X 219(W) This beautiful arch will be back in stoc.. Animated 124CM MERRY CHRISTMAS WITH STARS Get this weatherproof outdoor Ultra Bright Merry Christ..
Red and Green Starry Shower Laser Light Transform any area from ordinary to EXTRAORDINARY Projects..
Santa Bicyce HO HO HO Christmas Displays Colour: Red, Blue, Yellow, and Gree..
Santa Helicopter HO HO HO 150(W) X 78(H) Christmas Displays Colour: Red, Blue, Yellow, and Gre.. LED Seesaw Christmas Motif Rope Lights/ Christmas Display Bright Colourful LED Lights:.. Product Overview: Extra Bright and Quality LED Snowman with Gift Box Motif 5 Colours: Red, Blue,..
Top Star with Waterfall Lights - White - Green Cable Perfect for roofs, walls, trees, or window..